There are a number of potential benefits from employing members of the Reserve Forces. Employers have advised us that Reservist employees tend to be highly effective with evidence that their Reserve service has helped to develop their professionalism, adaptability, morale, physical courage and trust-worthiness. The quality of training that Reservists receive from the Armed Forces may be highly transferrable to their civilian role; the attributes and skills developed are often far-ranging and advanced, complementing the training undertaken in the workplace. These include practical skills and qualifications and less tangible (but equally important) personal development skills such as teamwork, time management and decision-making skills. 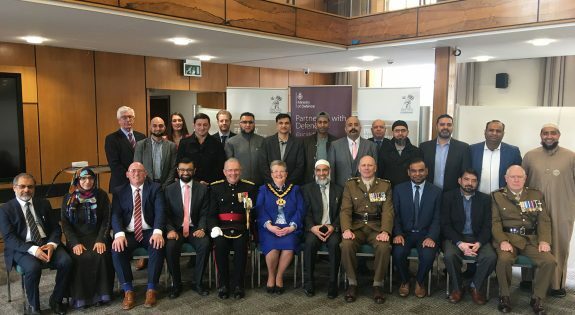 Together thay make the typical Reservist a very reliable and productive employee who is ideally placed to share that training and knowledge with other members of the workforce. This is fully supported by research carried out by Leeds Business School and MOD research conducted using methodology endorsed by the Chartered Management Institute. Nottinghamshire remembered the sacrifices made by people locally and globally during the Great War this week, whilst reaffirming its commitment to support the armed forces community of today. 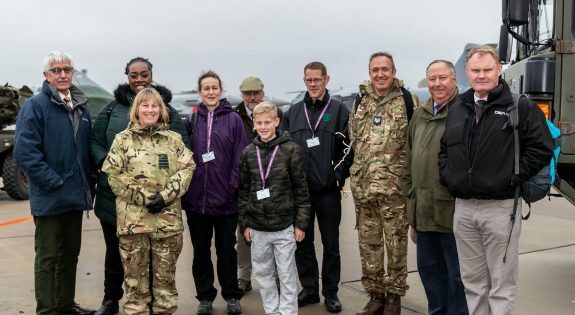 Recently local employers visited Air Combat Power at RAF Coningsby in Lincolnshire where they had the opportunity to learn more about the Royal Air Force’s capability and the needs of RAF reservists that they employ.